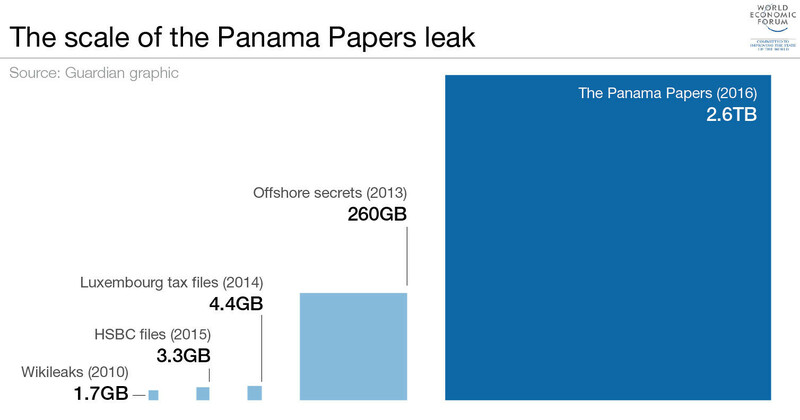 Scooper - Technology News: Just how big was the Panama Papers leak? Just how big was the Panama Papers leak? An enormous volume of data was released in the Panama Papers leak . In fact, the 2.6 terabytes of data, containing 11.5 million documents, positively dwarfs all previous data leaks seen to date. To put the leak in perspective, the 11.5 million documents from the world's fourth biggest offshore law firm, Mossack Fonseca, outnumber the combined total of Wikileaks, Swiss leaks, Luxembourg tax files, and Offshore leaks. The data, which exposes the use of tax havens, mostly consists of e-mails, photos, pdf files, spreadsheets, and "excerpts of an internal Mossack Fonseca database" dating back to the 1970s, according to to Süddeutsche Zeitung , the German newspaper that received the leaked files. 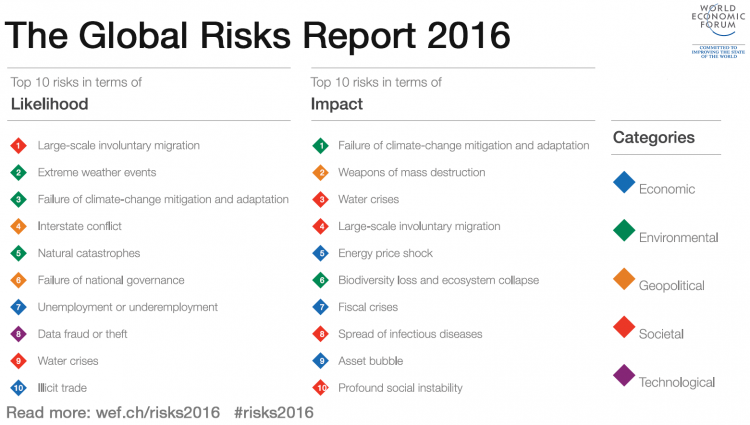 Data fraud or theft was the 8th most likely risk in this year's Global Risks Report 2016 , and while not technically either, the Panama Papers suggest we haven't seen the end of enormous, and often upending, data leaks. How should we balance security and privacy on the internet? Can you have both security and privacy in the internet age?